Nato a Genova nel 1976, frequenta prima il Liceo Artistico “Paul Klee” e successivamente l’Accademia “Ligustica” di Belle Arti. Lavora in teatro come tecnico dal 2001. 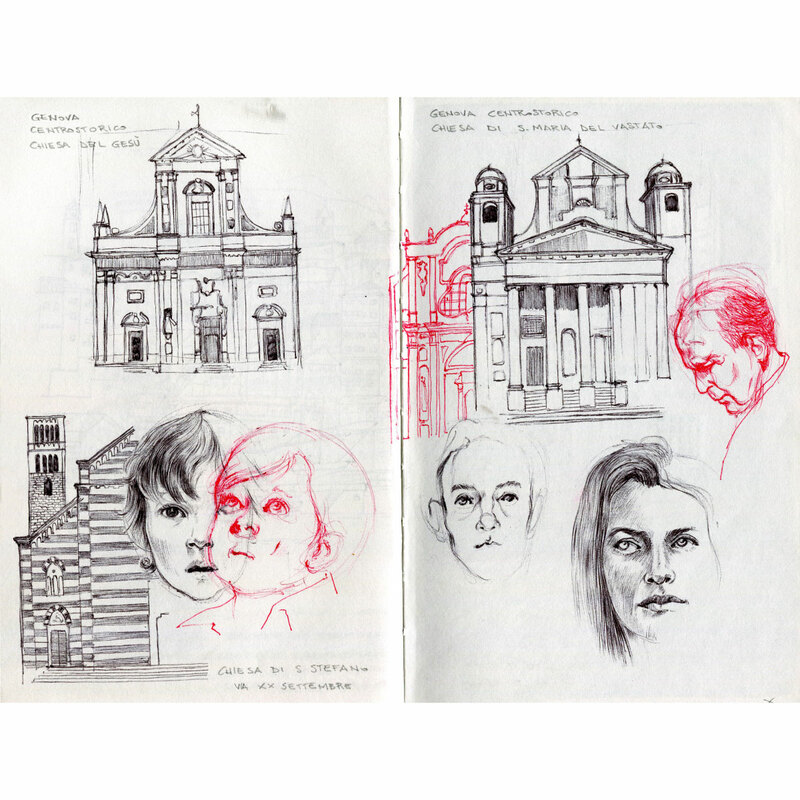 Dopo aver abbandonato per diversi anni il disegno, riprende nel 2013 concentrandosi prima sulla figura umana e poi sul carnet. Tra questi, si trovano alcuni quaderni dedicati ai suoi interessi: la storia, la musica e ovviamente la città di Genova. Lavora principalmente a penna biro. Nel Novembre 2018 espone al “Rendez- vous du carnet de voyage” di Clermont -Ferrand. 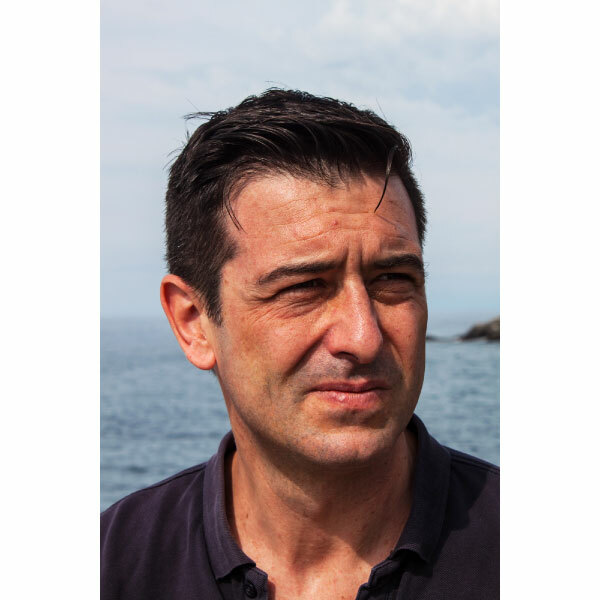 Born in Genoa on 1976, he attended first the Liceo Artistico “Paul Klee” and later the Accademia Ligustica of Fine Arts. 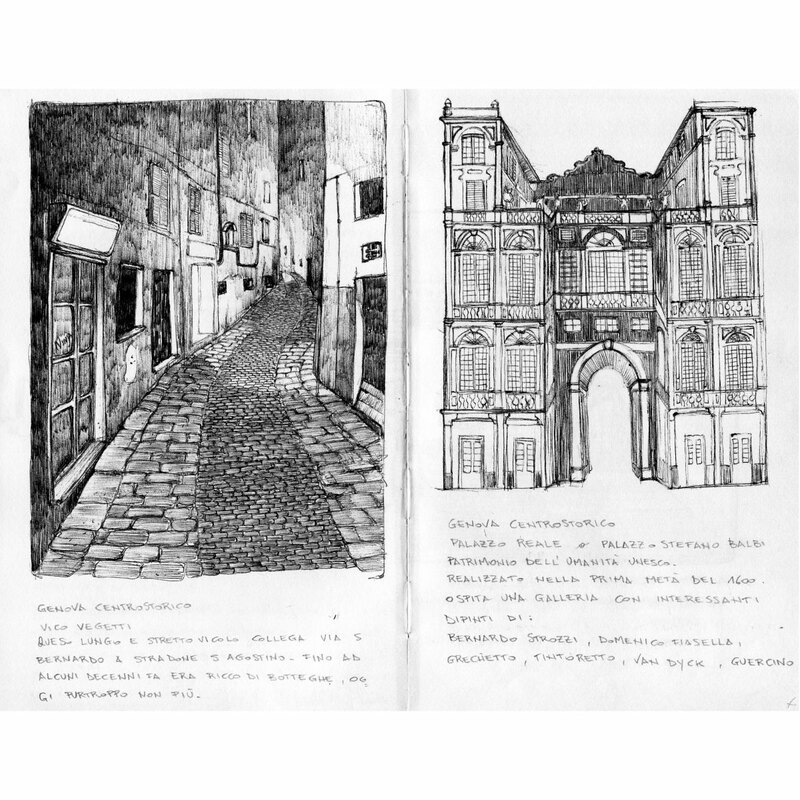 He gave up drawings for many years- since 2001 he works as theathre’s technician- but on 2013 he started again on artistic experience by concentrating first on human figure and then on various subjects drawn on notebook; among them, some are dedicated to his interests such as history, music and the town of Genoa. 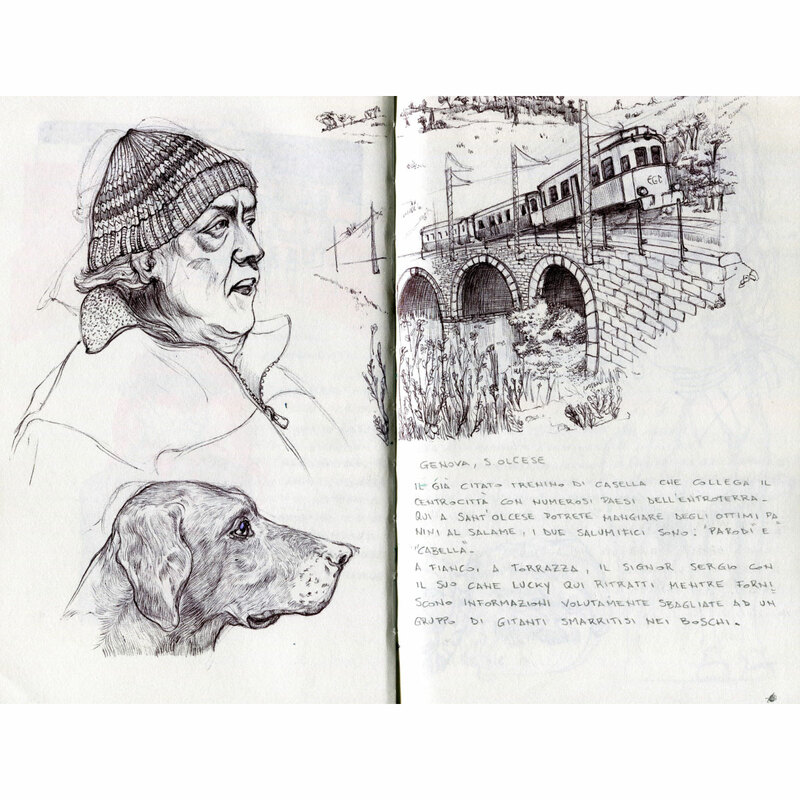 He draws mainly with ball-point pen; on November 2018 he took part to the exibition “Rendez-vous du carnet de voyage”, Clermont-Ferrand.